· Photographic Work: photographic works as referred to in Article 10 section 1 subsection 9 Aw, or other works covered by the Aw that can be equated with the said photographic works. · Image Carrier: the carrier on which a Photographic Work (whether or not identifiable with the naked eye) is recorded, such as a slide, negative, print, duplicate copy, Polaroid, CD-rom, DVD or memory stick. · Photographer: the user as defined by Book 6, Article 231 of the Dutch Civil Code. · Other Party: the other party as defined by Book 6, Article 231 of the Dutch Civil Code. · Usage: copying and/or publication as defined by Article 1 in conjunction with Articles 12 and 13 of the Aw. 4.2 If and insofar as there is no usual rate, the Photographer shall fix the rate in a reasonable and fair way, bearing in mind (i) the rates for similar commissions normally charged in the market between similar customers and similar suppliers, with reference to rates charged by the Photographer’s colleagues, (ii) what in past cases was by right regarded as reasonable and fair, (iii) comparable rates charged by photographers in neighboring countries, and (iv) the scope and extent of the desired usage of the work by the Other Party. Within 7 days: 100%. When moving: 50%. Moving your assignment to a date on which we are no longer available is seen as a cancellation. 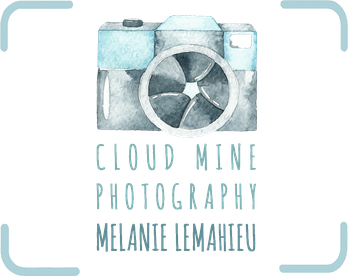 In addition to this cancellation fee, the client will be charged for any expenses already incurred by Cloud Mine Photography. 6.1 The Other Party shall check that the invoice of the Photographer is accurate. If the Other Party has not rejected the invoice in writing and returned it to the Photographer within ten working days of its date, providing legally relevant reasons for doing so, then the invoice shall be deemed to be binding between the parties and the Other Party loses any right to put in a claim. 6.2 Payment shall be made within thirty days of the date of the invoice. 6.3 The Other Party shall pay the amount due to the Photographer without any reduction or claim to compensation, except for the deduction of any advance payments agreed between the parties and previously made to the Photographer. 6.4 If the Photographer has not received the amount due within the period specified in 5.2 above, the Other Party is in breach and therefore liable for interest at the statutory rate plus 2%. 6.5 If the Other Party is in breach of any of its obligations under the agreement, including any infringement of copyright, then it is liable for all judicial and extra-judicial costs incurred in seeking compensation for the same. 6.6 Any use of the Photographic Work whatsoever is prohibited until the Other Party has paid any outstanding invoice of the Photographer or has otherwise complied with any other obligation arising from any agreement whatsoever with the Photographer. 7.1 If the payment is dependent in any way on any facts or circumstances to be proven by the financial records of the Other Party, then upon receiving such statement from the Other Party the Photographer is entitled to have the financial records audited by any RA/AA accountant he may choose to appoint. 7.2 In the event that the results of the audit differ by more than 2% from the statement and payment by the Other Party, then the auditor’s expenses shall be paid in full by the Other Party. The Other Party shall then also pay to the Photographer the amount due on the basis of the correct information after this has been invoiced. 10.1 Image Carriers shall be delivered in the premises in which the Photographer carries out his business. From the moment they are sent out until the moment they are received back undamaged by the Photographer, Image Carriers are at the risk of the Other Party. 10.2 Digital files containing Photographic Works shall be delivered following proper consultation and in a manner agreed between both parties and are at the risk of the Other Party from the moment they are sent. 10.3 In case no delivery time or date has been agreed, the Photographer shall decide a reasonable period. 10.4 If the Photographer and the Other Party agree to fix the delivery at an earlier date, the Photographer is entitled to increase the price originally agreed by at least 50%. 10.5 Every delivery, including the delivery of any part of a commission, may be invoiced separately if any part of a commission can be valued separately. 12.1 If there is no agreement that the Image Carriers remain in the possession of the Other Party, it shall ensure that these are returned immediately after the agreed usage to the Photographer without any cost for the Photographer. Doing so too late or not at all shall not result in the Photographer losing any of his rights. 12.2 If Photographic Works have been delivered in digital form, the Other Party shall immediately erase and/or destroy them following the agreed usage and not store them for re-usage. Doing so too late or not at all shall not result in the Photographer losing any of his rights. 12.3 If an Image Carrier is not returned to the Photographer within four weeks after the agreed period, it shall be regarded as missing. 12.4 In the event that an Image Carrier is missing or damaged, the Other Party shall compensate the Photographer for his loss. 12.5 Image Carriers remain the property of the Photographer. The Other Party is only entitled to acquire the ownership if this has been expressly agreed. 13.1 Image Carriers submitted on approval which are not used should be returned by the Other Party within ten working days after they were received. 13.2 Digital files of Photographic Works submitted on approval which are not used should be erased or destroyed by the Other Party within ten working days after they were received. 13.3 In the event that Image Carriers and/or digital files containing Photographic Works are retained beyond the agreed period, the Other Party shall compensate the Photographer for the damage he has suffered as a result. 13.4 The Other Party is not only obliged to return in time to the Photographer the originally submitted Image Carriers; he shall not copy and keep the Image Carriers in any form whatsoever, and/or keep any digital files he received containing Photographic Works, and must immediately destroy any such copy. 14.1 A commission contract is an agreement in which the Photographer undertakes to the Other Party to make and/or supply Photographic Works. 14.2 A commission contract becomes binding when the offer of the Photographer is accepted by the Other Party. This acceptance can be confirmed by a written confirmation sent by the Photographer to the Other Party to be retained by the Other Party; or in the absence of the same, by the factual knowledge and permission of the Other Party to the carrying out of the work by the Photographer in accordance with the offer. 14.4 Changes to the commission by the Other Party for whatever reason and pending the carrying out of the commission contract shall be at the expense of the Other Party. They will only be carried out by the Photographer once a separate offer for the additional costs has been signed in agreement by the Other Party, and returned to the Photographer. 14.5 In the event that a commission contract has been cancelled by the Other Party at whatever time and for whatever reason, the Photographer is entitled to receive the agreed price, minus costs not yet made. 15.1 In the event that the usage of Photographic Works on the Internet is agreed, the Other Party shall ensure that the size of the Photographic Works shown does not exceed 800 by 600 pixels. 15.2 The Other Party shall not make any copies of the Photographic Works – digital or otherwise – other than those that are strictly required for the agreed usage on the Internet. At the completion of the agreed usage, the Other Party shall erase or destroy the used (working) copy(ies) of the Photographic Works. 15.3 The Other Party shall provide the Photographer with unlimited access free of charge to each part of its website on which the Photographic Work is reproduced. If special arrangements need to be made to achieve this, then the Other Party will ensure these are made. 16.2 The photographs produced by the Photographer are protected by Copyright Law (all rights reserved) and may not be reproduced in any manner without the photographer's explicitly written permission. 16.3 The Photographer grants the Client permission to share the images on social networking websites, with family and friends, and on vendor websites as long as the images remain unaltered and textual credit is explicitly given to the Photographer. 16.4 The Client must obtain written permission from the Photographer prior to publishing or selling the photographs to any third party. 16.5 Images will be licensed for use for a specified period. When the License to Use has expired, the images should not be used any longer. 17.1 Use by the Other Party of a Photographic Work requires prior written consent in the form of a license the nature and scope of which is described by the Photographer in the offer and/or the confirmation of the commission and/or the relevant invoice. 17.2 If the scope of the license is not specified, it shall not extend beyond the right to one single use, in original form and for a purpose, circulation and method as intended by the parties at the time they enter into the agreement, in accordance with the interpretation of the Photographer. 17.3 In the absence of a specifically-agreed method of publication and/or described purpose and/or described circulation, the only authority deemed to have been conferred is that which is included in the license as standard or which, given the nature and scope of the agreement, necessarily follows from this. 17.4 If the Photographer has given permission for image manipulation, electronically or otherwise, the result may only be used once explicit written consent has been obtained. 17.5. Sub-licenses unless otherwise agreed, the Other Party is not entitled to grant sub-licenses to a third party. 18.1 Each unauthorized use of a Photographic Work is deemed to be an infringement of the Photographer’s copyright. 18.2 Any infringement entitles the Photographer to claim compensation of at least three times the license fee usually charged by the Photographer for such type of use, without losing any right to claim compensation of other damages (including the right to compensation of all direct and indirect damages and all judicial and extra-judicial costs actually incurred). 19.1 The name of the Photographer should be clearly credited alongside the Photographic Work used, or included elsewhere in the publication with reference to the Photographic Work. 19.2 Failure to comply with this condition entitles the Photographer to claim compensation of at least 100% of the license fee usually charged by the Photographer for such a type of use, without losing any right to claim compensation of other damages (including the right to compensation for all direct and indirect damages and all judicial and extra-judicial costs actually incurred). 19.3 If the Other Party has obtained written consent to reproduce in whatever form the Photographic Work, it shall ensure that the name of the Photographer accompanies these reproductions. In the case of digital/electronic copies, the Other Party shall also ensure that the entire metadata that was included in the digital file by the Photographer – information according to the EXIF, IPTC, XMP and ICC standards – shall be preserved. 20.1 The Other Party shall always respect the moral rights of the Photographer in accordance with Article 25 (1)(c) and (d) Aw when reproducing or publishing a Photographic Work. 20.2 Any infringement of these moral rights entitles the Photographer to claim compensation of at least 100% of the license fee usually charged by the Photographer for such a type of use, without losing any right to claim compensation of other damages (including the right to compensation for all direct and indirect damages and all judicial and extra-judicial costs actually incurred). 21.1 If the Other Party publishes a Photographic Work, it is solely responsible for obtaining the consent of those persons depicted and/or other legally entitled parties. The Other Party indemnifies the Photographer from all claims relating to the same. The Photographer and the Other Party are each entitled to terminate the agreement with immediate effect if the Other Party becomes bankrupt or is granted a moratorium. In the event of the bankruptcy of the Other Party, the Photographer has the right to terminate the license, unless the consequences of doing so would be in breach of the principles of reasonableness and fairness. 24.3 Any dispute concerning the wording and explanation of these General Terms and Conditions and a legal relationship between the Photographer and the Other Party shall be brought before the court with relevant jurisdiction in the Netherlands. The original Dutch version of these General Terms and Conditions has been filed with the Court of Amsterdam under reference number 84/2011.